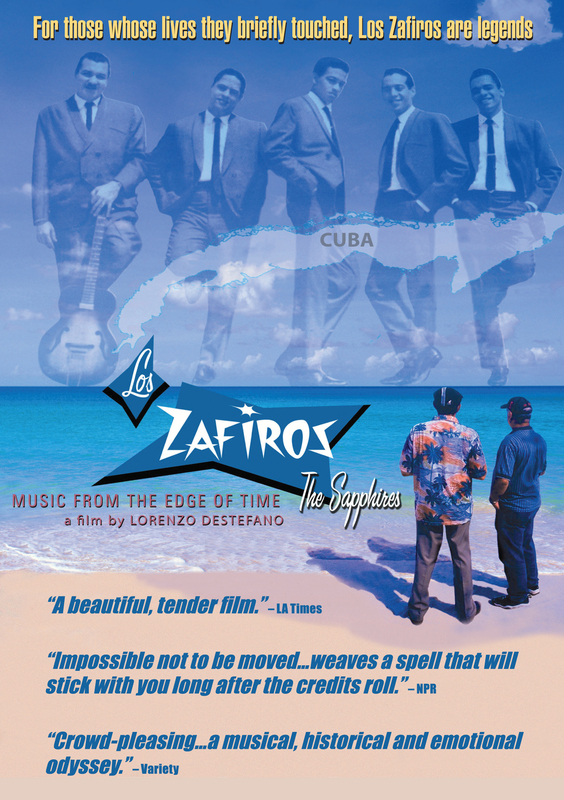 Insightful and emotional documentary on "The Beatles of 1960s Cuba"
For those whose lives they deeply touched, Los Zafiros are legends. 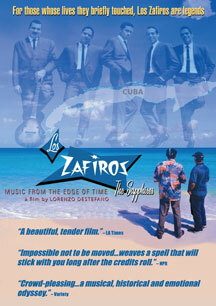 Music, history, and emotion fuel this dynamic, award-winning tribute to Los Zafiros, produced & directed by noted documentarian Lorenzo DeStefano. As John, Paul, George and Ringo were forming the Beatles in Liverpool in the early 1960s, another band was coming together in the tough district of Cayo Hueso in Havana. Playing a brilliant mix of American inspired Doo Wop and traditional Latin forms, Los Zafiros, often referred to as "The Beatles of 1960s Cuba", became a sensation in their native land and beyond before dissolving in the mid 1970s from the effects of the fast life, infighting and changing political and musical tastes. Over thirty years after their breakup, the two surviving band members, multiple-Grammy winner and Buena Vista Social Club alumnus Manuel Galbán, and the group's co-founder, Miguel Cancio, reunite in the streets of present-day Havana, a place full of unforgettable songs and memories for them and for their still-loyal fans. Evocative archival films and recordings of the group are interwoven with newsreel footage that vividly parallels the Los Zafiros story with life in Cuba at the height of the Cold War. Engaging performance footage and interviews with family members, fellow artists, and friends create a stirring and definitive portrait of the original Sapphires for a whole new audience. LOS ZAFIROS - "Cuando Yo Lo Conoci"
LOS ZAFIROS - "Mi Oracion"
Emotion-charged... a beautiful, tender film.